This is a busy week for many of us. Some of us will be cleaning house and preparing for guest while balancing work and the daily demands of life. We will be pre-baking for the company and organizing our to-do list before the big day. And with all the hustle and bustle, despite all of the food we will feed our stomachs, we might forget to feed our souls. So. . . I just wanted to prod us to take time each day, despite the craziness, to chew on a bite of the Bread of Life each morning before we start our daily race. 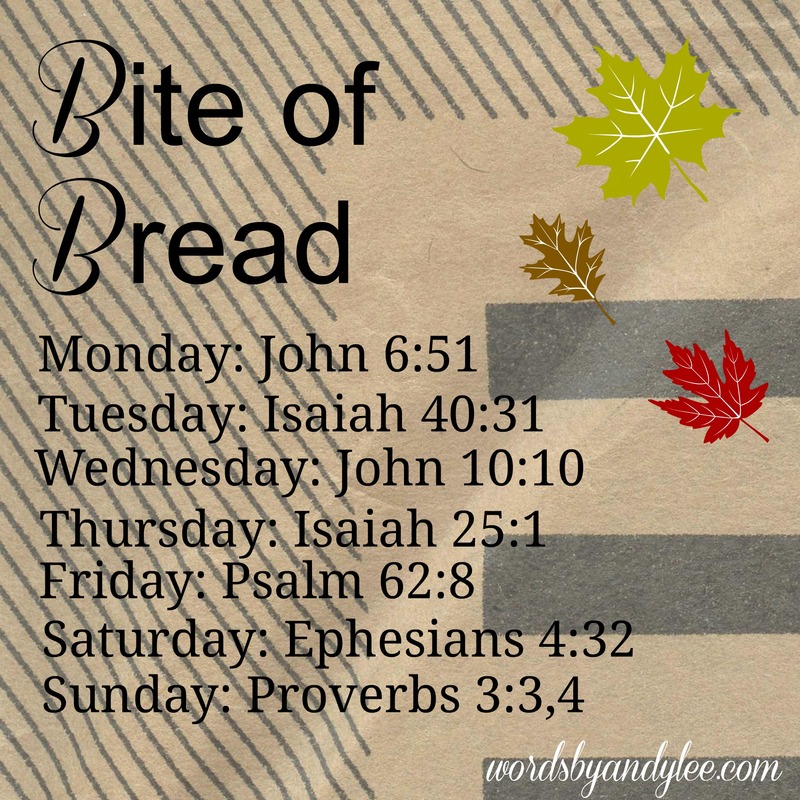 The scriptures this week aren’t focused specifically on Thanksgiving, but rather on “bites” that will feed weary spirits–verses that encourage. Take a screen shot, or jot the Bite of Bread plan in your journal. Light a candle and find your favorite place to sit. Don’t forget your coffee, and then enjoy each bite if only for ten minutes. I’ll be reading with you, and I’ll also be sharing some thoughts on each bite on Periscope at 8:30. 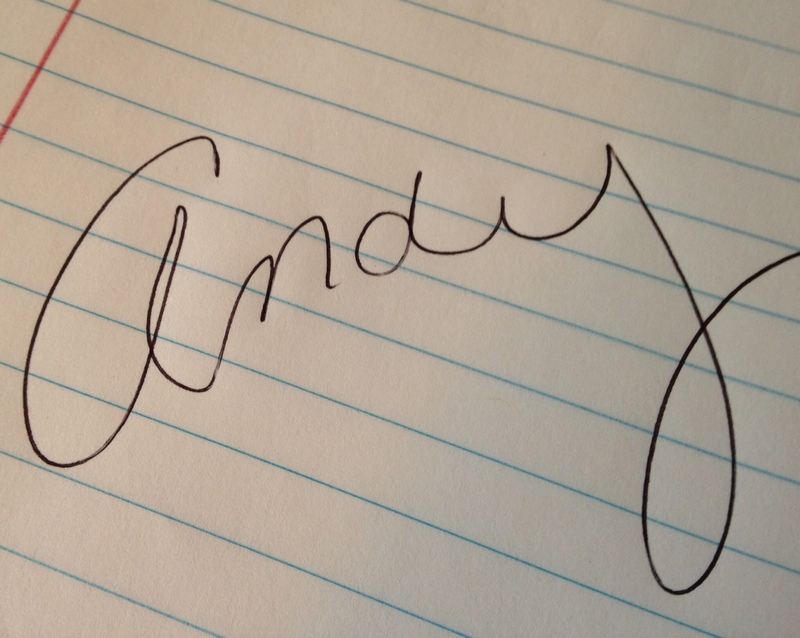 If you have a Smart phone, grab the Periscope app and follow me, wordsbyandylee. Or you can watch the recorded scopes on katch.me/wordsbyandylee . I know this week will also be lonely for many people. May I encourage us to pray to be a blessing to others, whether we are the lonely ones or those running around preparing for a full house. May we be thankful for the smallest of blessings and pray to be somebody’s blessing each day this week. I’ll see you Wednesday–or maybe sooner if you join me on Periscope. Love you much.